Exciting golf in an exclusive setting, the Hero World Challenge combines the best of luxury with 18 of the world’s top ranked golfers at Albany, Bahamas. Learn more about the Hero World Challenge. Sign up today to receive event news and information. Thursday, Nov. 29 Round 1 Approx. 11:00 a.m. Golf Channel: 1:30 p.m. - 4:30 p.m.
Friday, Nov. 30 Round 2 Approx. 11:00 a.m. Golf Channel: 1:30 p.m. - 4:30 p.m.
Saturday, Dec. 1 Round 3 Approx. 11:30 a.m. NBC: 2:30 p.m. - 4:30 p.m.
Sunday, Dec. 2 Round 4 Approx. 10:30 a.m. NBC: 1:00 p.m. - 4:00 p.m. Thank you to our sponsors and their support of youth education through the Hero World Challenge. Be part of our volunteer team that helps make the Hero World Challenge a success. The Hero World Challenge has a longstanding history of incredible golf moments thanks in part to the game’s most exclusive field. With 18 of the world’s top ranked players vying for the Hero World Challenge trophy each year, the competition at Albany, Bahamas is sure to heat up. From the golf course to the beach, once-in-a-lifetime experiences are everyday occurrences at the Hero World Challenge. Every event provides guests with an exclusive experience only found at Albany, Bahamas. The best in golf, luxury and entertainment merge at Albany, Bahamas one week each year. After the last putt drops, the action heats up at Aviva Beach with stunning evening events for partners and invited guests. The Hero World Challenge has raised more than $26 million for youth charities since 1999. Attracting the best in golf and business, the Hero World Challenge is a driving force of philanthropic support for youth education. Hospitality at the Hero World Challenge is in a league of its own. Offering premium dining and views on top of the finishing holes, inside-the-ropes golf experiences and exclusive evening events for guests, the week at Albany, Bahamas is unforgettable both on and off the course. 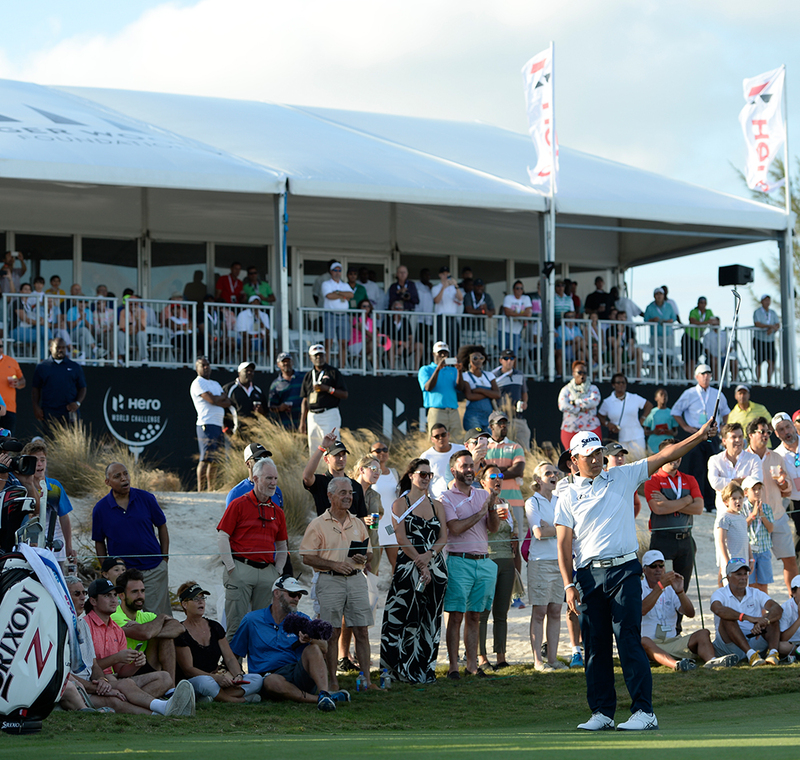 The Hero World Challenge has grown into one of the most exclusive events in golf. With invitations to the year's major winners and the top ranked players in the Official World Golf Rankings combined with the setting at Albany, Bahamas, this event is the ultimate year-end celebration of the game. The 18 players in the field join the members of Albany, the Pro-Am participants, special guests and spectators at a golf experience that is second to none.